Russia had operatives in New York for years, from Wall Street to the UN. Now one is headed to prison. Evgeny Buryakov woke up to a snowstorm. On the morning of Jan. 26, 2015, his modest brick home in the Bronx was getting the first inches of what would be almost a foot of powder, and Buryakov, the No. 2 executive at the New York branch of a Russian bank, decided to skip work and head around the corner to a grocery store to buy supplies for his family of four. As the 39-year-old Russian bundled into his winter gear and closed the front door of his house behind him, he didn’t realize he would never set foot in it again. Since the Buryakovs’ arrival in New York in August 2010, they had seemed like any other immigrant family in the melting-pot Bronx neighborhood of Riverdale. Of average height and build, Evgeny’s only curious feature might have been his near-obsessive taste for McDonald’s. The kids in nice weather played in the sandbox out back, next to the clothesline where their mother, Marina, liked to hang their laundry. While Evgeny commuted to the 29th floor of a Manhattan high rise, she shuttled the children to a nearby parochial school and to afternoon activities like karate. The two nuns who lived next door watched the family parrot while the Buryakovs went on ski vacations. But Evgeny was leading a double life. His real employer wasn’t a bank, but Russia’s SVR intelligence agency. For a decade, Buryakov had been working under “nonofficial cover”—a NOC, in spy talk—and, now on Wall Street, his task was to extract corporate and financial secrets and report them back to Moscow. His two handlers, also undercover, were attempting to recruit unwitting sources at consulting firms and other businesses into long-term relationships. Berlin was once the espionage capital of the world—the place where East met West, and where undercover operatives from the KGB, CIA, MI6, and untold other agencies practiced spycraft in the shadow of the Berlin Wall. Since the end of the Cold War, however, New York has probably hosted more intelligence activity than any other city. The various permanent missions and visiting delegations at the United Nations, where even countries that are otherwise banned from the U.S. are allowed staff, have provided cover for dozens of agencies to operate. Wall Street has offered further pretexts for mining information, with its swirl of cocktail parties, networking events, and investor conferences. The espionage story of the year, and perhaps one of the greatest foreign operations in decades, has undoubtedly been Russia’s successful effort to influence this fall’s presidential election through hacking—penetrating Democratic National Committee servers and the e-mail account of John Podesta, Hillary Clinton’s campaign chairman. The strategy marks an evolution for Russia, which historically has valued so-called HUMINT, or human intelligence, over SIGINT, or signals intelligence. It’s an evolution borne of some necessity, as Russia has in recent years struggled to install spies on American soil. The Buryakov affair illustrates the point. 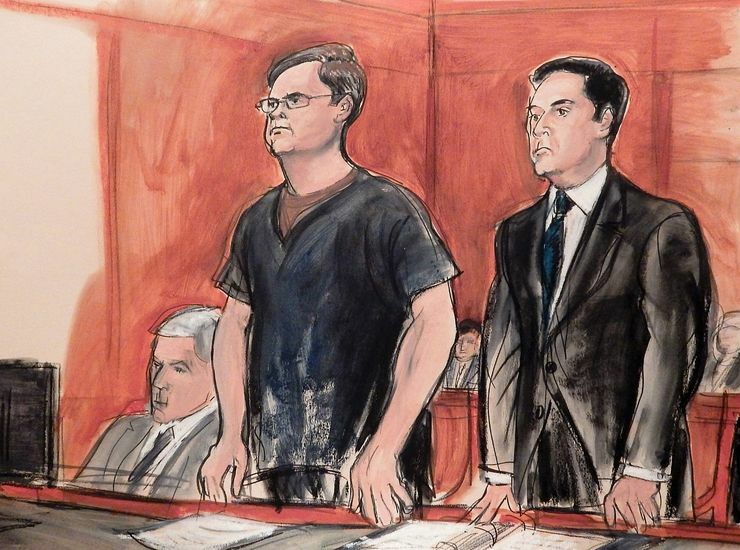 As the U.S. election was reeling this spring toward its astonishing conclusion, Russia’s Wall Street spy was being sentenced, haplessly, to prison. Maria Ricci has spent her FBI career chasing Russian spies up and down the East Coast. After majoring in English at Columbia and working as a lawyer in private practice, she joined the bureau 15 years ago, assigned to the counterintelligence squad. Her first job was known internally as Operation Ghost Stories—Ricci and other agents worked for almost a decade to track a ring of Russian illegals hidden across the country in what became the FBI’s largest espionage case ever. Their investigation ended in 2010 with the arrest of 10 individuals working for the SVR, Moscow’s version of the CIA, including a sultry redhead named Anna Chapman, who became an instant tabloid star. The case inspired the hit FX series The Americans, which follows two Russian “sleeper” spies living deep undercover in 1980s Washington. When foreign diplomats come to the U.S. for the first time, the FBI routinely scouts their profiles to identify potential intelligence plants. If agents spot something suspicious, they’ll concoct a plan to smoke the person out. The FBI’s alarms were tripped in November 2010 by the arrival in New York of Igor Sporyshev, supposedly a trade representative of the Russian Federation. One red flag was that his father, Mikhail, had been a KGB officer and a major general in its successor agency, the Federal Security Service (FSB). In subsequent conversations, Sporyshev pushed the supposed analyst for information about the energy industry, such as company financial projections and strategy documents. The information wasn’t secret or even especially sensitive. It didn’t give Sporyshev an edge he could use to commit insider trading. Rather, asking for information like this reflected a Russian approach to intelligence that’s endured long after the Cold War. Coming from a traditionally closed society where the media operates as an extension of the state, Russian agents tend to prioritize human recruitment and generally discount the huge amount of “open source” news and information that flows routinely out of the U.S. in government reports, independent news articles, and think tank analyses. “Whispered conversations always feel sexier,” Ricci says. And relationships that start out innocuously, with junior or midlevel workers, can be cultivated over years, until the target is senior and desensitized to sharing information with someone they think of as a longtime friend. The FBI’s undercover agent played along with Sporyshev, handing over supposedly confidential corporate reports inside binders that had been rigged with voice-activated recording devices. From the outside, the binders appeared to be part of a numbered set. The agent told Sporyshev that the documents would be missed if they were absent too long and so they had to be returned promptly. When the first of the binders began to flow back to the FBI, technicians downloaded the audio. “We got ‘take,’ ” they reported to Ricci, using the term for worthwhile intel. As linguists began to translate from Russian, it became clear the ruse had worked even better than the FBI had imagined. In a grave violation of security procedure, Sporyshev had carried the bugs into the secure SVR office, the rezidentura, inside Russia’s UN office on East 67th Street—its equivalent of what U.S. officials call a “SCIF,” or Sensitive Compartmented Information Facility, an area that’s supposed to be free of any electronic listening devices. “Nothing given to him by someone in the United States should have ever been brought inside the SCIF,” Ricci says. Over several months, as one binder after another circulated through Sporyshev’s hands, the FBI collected hundreds of hours of recorded conversation, much of it comically mundane. Sporyshev spent hours chatting with one colleague, Victor Podobnyy, a twentysomething who was also working under diplomatic cover as an attaché to the Russian UN mission. Both belonged to the SVR’s Directorate ER, a branch dealing with economic issues, such as trade and manufacturing. Often, they complained about the lack of drama in their lives. Sporyshev was sympathetic. “I also thought that at least I would go abroad with a different passport,” he said, and then he complained about the parsimony of the agency’s expense reimbursement. Amid the hours of bellyaching, one thing stood out: an oblique reference to a NOC hidden inside Wall Street. 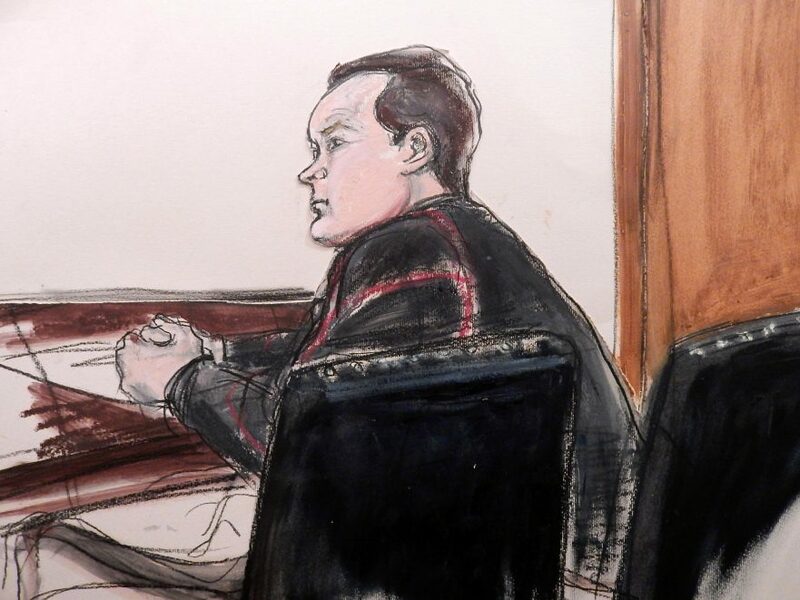 FBI agents pieced together that Sporyshev and Podobnyy had been discussing Buryakov. The putative banking analyst had previously appeared on the FBI’s radar, but the agency hadn’t yet pinned him as a spy. The son of a government construction engineer, Buryakov grew up in the remote southern Russian village of Kushchyovskaya, where he met Marina in 1994, when she was still in high school; they married in 1999. Smart and inquisitive, Buryakov was gifted at learning foreign languages. He worked in Moscow first as a tax inspector, then joined the Vnesheconombank, or VEB—the Russian government’s development bank, which backed economic projects that would boost growth and employment. At some point, Buryakov signed on with the SVR intelligence agency. Following a five-year stint with VEB in South Africa, he arrived in the U.S. just weeks after the FBI had rolled up Operation Ghost Stories. He was the first of the next wave of Russian intelligence officers. Buryakov, his wife, and their two children, Pavel and Polina, rented a $3,000-a-month, two-story house on Leibig Avenue in Riverdale. The Bronx neighborhood was well-known to U.S. counterintelligence. A few blocks away, clearly visible from the Buryakovs’ driveway, looms a 20-story, cream-colored high-rise built for Russia’s UN staff. The six-acre compound, known as the White House, had long made the area a favorite for other Eastern European diplomats and immigrants. Sporyshev lived right around the corner. The Buryakovs mostly kept to themselves, but the nuns next door often saw Evgeny smoking cigarettes at the end of his driveway late at night, and Marina would host other mothers from school. As one of Buryakov’s handlers, Sporyshev gave him a series of often menial side projects. In May 2013, Sporyshev asked him to outline some questions that the Russian news outlet ITAR-TASS could use when interviewing an official from the New York Stock Exchange. Buryakov did about 20 minutes of research, then recommended asking about exchange-traded funds. As Buryakov performed more such tasks, the FBI built a surveillance dragnet around him. Agents conducted multiple covert searches of his office at VEB. In December 2013, Gregory Monaghan—the lead agent on the case—showed up at Buryakov’s landlord’s office to ask about gaining entrance to the house. The landlord consented, and while the Buryakovs were away on a ski trip that winter, the FBI sneaked in and wired the house for audio and video. Over the next several months, the bureau surveilled more than four dozen meetings between Buryakov and his handlers. Inside Russia’s UN mission, in New York’s Lenox Hill neighborhood, Sporyshev and Podobnyy were also recorded trying to recruit sources across Wall Street: consultants, analysts, and other financial professionals who had access to proprietary data or documents—or might win access later in their careers. Russian intelligence agencies have demonstrated extreme patience for schemes that play out over many years—time horizons far beyond those that will hold the interest of U.S. agencies, presidential administrations, and congressional leaders. The agents of Directorate ER sought to build relationships by asking for innocuous information that nobody would suspect might one day lead to the sharing of more valuable intelligence. As the FBI’s bugs listened, Podobnyy informed Sporyshev that he’d told one woman, a recent college graduate, that he “needed answers to some questions, answers to which I could not find in open sources. Due to that, I am interested to find information from paid publications and opinions of independent people who discuss these topics amongst themselves behind closed doors.” The woman, Podobnyy said, responded favorably. Buryakov proceeded anyway. On Aug. 8, 2014, he spent seven hours touring Atlantic City with the FBI source, visiting casinos and looking over a PowerPoint presentation about the project. The FBI source provided Buryakov with government documents, marked “Internal Treasury Use Only,” about individuals who had been sanctioned by the U.S. over the Crimean invasion. Buryakov said he’d like more documents like that, and later in the month, the source handed over another report, this one on the Russian banking sector, labeled “Unclassified/FOUO, or “For Official Use Only.” That same day, Buryakov called Sporyshev to discuss “the schoolbooks,” and that night, briefcase in hand, he went directly from his VEB office to Sporyshev’s home in the Bronx. An FBI surveillance team monitored from outside. SVR agents work on five-year contracts, and toward the end of 2014, Sporyshev and Podobnyy returned to Russia, their tours over. Now that Buryakov’s handlers were gone, the FBI grew concerned about identifying their replacements. “They could’ve completely changed the meetups and contact procedures, so we didn’t think it was worth letting [Buryakov] continue to operate,” Ricci says. One of the oddities of counterintelligence is that countries regularly tolerate both known and suspected spies, allowing them to operate under what they hope is a watchful eye. “The original goal for a counterintelligence case isn’t an arrest—it’s to recruit or deflect them,” Ricci says. “My No. 1 priority is to make sure no one steals our secrets.” That mission appears to have succeeded. Aside from documents the FBI allowed him to see, Buryakov rarely seemed to get his hands on material more valuable than what any average Wall Streeter might possess. The FBI scheduled his arrest for Jan. 26, 2015. As the snow fell on VEB’s headquarters and Buryakov’s Riverdale home, search teams and dozens of agents waited anxiously outside both locations. Buryakov headed out to get groceries. After he paid, he found Ricci’s agents, clad in blue FBI windbreakers, waiting in the parking lot. “Sir, you have to come with us,” they said, then hurried him into an SUV. Buryakov, the agents later reported, was calm and hardly seemed surprised. Other agents then took his purchases the two blocks back along Leibig Avenue, where they knocked on his door, delivered the groceries, and told Marina that they had a warrant to enter. As they searched the house, technicians covertly removed the FBI’s audio and video surveillance tools. By day’s end, the U.S. Department of Justice announced the arrest and unsealed the criminal complaint against Buryakov, as well as naming Sporyshev and Podobnyy, who were both protected by diplomatic immunity. The arrest and announcement touched off a flurry of international activity. In Moscow, the Russian government summoned the U.S. ambassador to protest. In New York, Marina and the children fled into the nearby Russian mission residence, their family car abandoned on Mosholu Street outside, until they were able to leave the country. Russian colleagues hurriedly moved the family’s belongings out of the Riverdale home, tearing the house apart in the vain hope of uncovering the FBI’s recording devices. VEB paid $45,000 to settle a lawsuit filed by Buryakov’s landlord and also paid for his legal counsel. Initially, Buryakov’s defense was that he’d done nothing more than many professionally ambitious expatriates in New York do: He’d simply agreed to help his countrymen, Sporyshev and Podobnyy, with their work and lives in America. But eventually he pleaded guilty to being an unregistered foreign agent—the technical federal charge for espionage. Buryakov’s arrest did little to slow the flow of intelligence operatives into America. Even as his case played out in the New York courts in the summer of 2015, Border Patrol agents apprehended a man from Ukraine crossing the Texas border, according to previously unreported internal U.S. Customs and Border Protection documents. “It is my opinion that this subject is a Russian asset and was sent by the Russians to infiltrate the U.S.,” the agent wrote. “[The individual] is a perfect asset since he already knows some English, is militarily trained, and is fluent in Russian and his native tongue of Arabic.” Following standard procedure, though, the man was released into the U.S. with a notice to appear at a deportation hearing. The FBI refuses to confirm if it’s aware of the incident or if it’s monitoring the man. On May 24, 2016, Buryakov was sentenced to 30 months in prison, and he now resides in the federal low-security prison in rural Lisbon, Ohio. He’s still listed on VEB’s website as its deputy representative in New York.